The Snake Belly is not for the faint of heart. 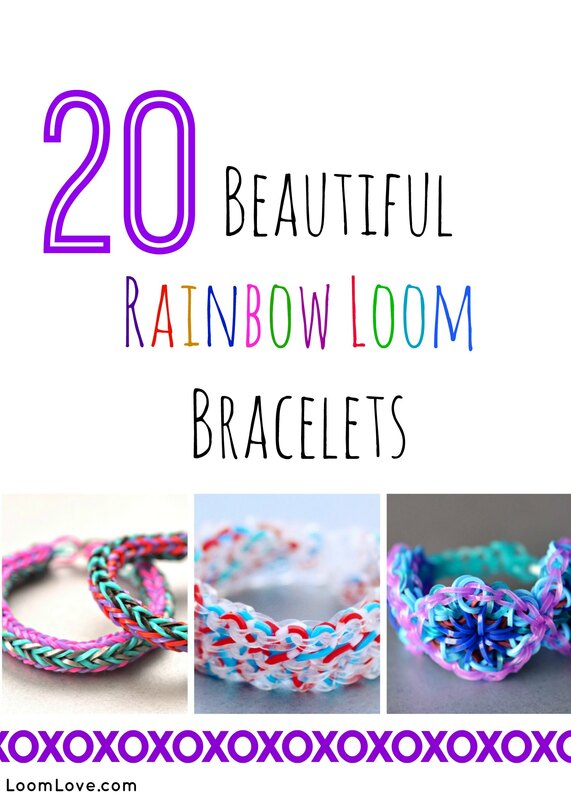 In fact, it’s known as one of the most complicated Rainbow Loom bracelet designs. 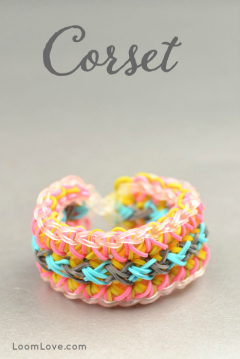 Bracelet created for LoomLove by EmZDesignz. 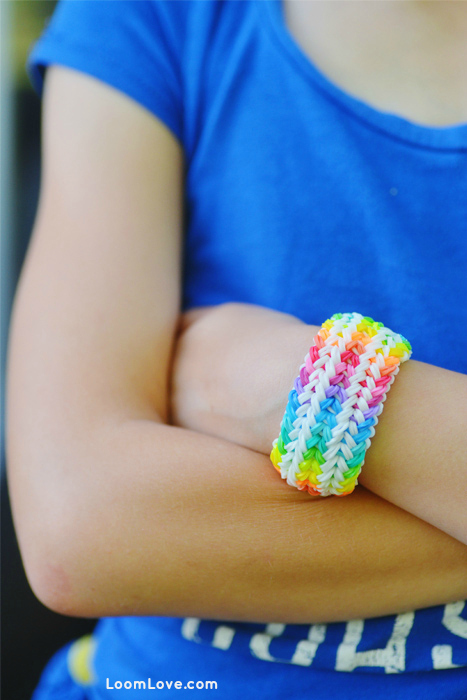 My name is Hanah and i LOVE all your rainbow loom desings. 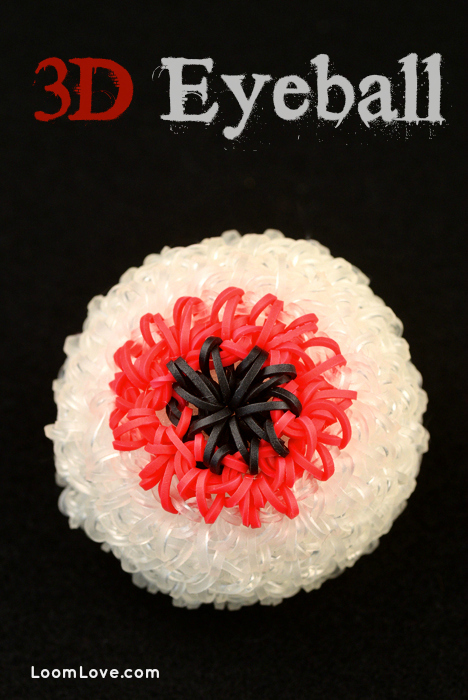 I know you are really experienced loomers so i have got a great challenge for you???????????? iwant you (or your mom) to make a tutorial on how to make the exact donut desing of tutorials by a ???????????? she still has not posted a tutorial on it but she had shown the desing at her vibeo:I’M BACK!! + NEW DESINGS + PACKAGE OPENING. PLEASE ACEPT MY CHALLENGE!!!! i depend on you!!! Super cool, but who has 5-7 looms? Expect for EmZDesignz, that is. 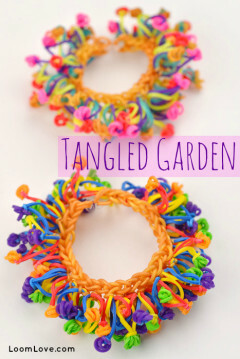 I’m ordering 4 more looms and I have one loom so when they arrive I’m DEFINITELY going to make this first!!! WOW THAT IS SOOOOO AWESOME!!!!!!! You two sure have some major bragging rights!!!!!!!! How did you get those many looms though?! It says they got their’s made by someone else, probably on etsy. It was made for them by EmZDesignz. yay first comment!!!! 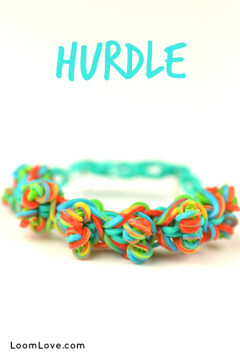 :D boy, is this bracelet hard!! i broke about 20-30 bands. I don’t even know how you can survive this bracelet!!! your so talented! Le me: OMGITSASNAKEAHHHHHELPMEFSSFGRSAVBBTYHPLEASEIDONTWANNADIE!!!! Phew snake’s gone! Imma make bracelet now-whoa THAT IS A LOT OF LOOMS. Mallory I have ten looms and 8 hooks plus twenty containers of bands. Whoa that’s a lot of looms and bands. I have one loom and one monster tail and six hooks and five huge cases full of bands. I HAVE MORE… 5 PACKS AND HUNDREDS OF LOOM BANDS BEAT THAT! I HAVE BEEN BUYING LOOM FOR AS LONG AS IT WAS FIRST OUT! Love it!!! Where did you get all the neon rubber bands? Also, I thought you only had 2 looms? Did you get more? They didn’t make it. They bought it. 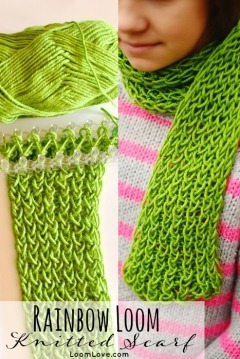 Is it possible to make this on two looms if you add an extension? It would be an awfully long extension, but it would work. I guess you could make it as a keychain as well. And as for snakes, yes, they are awesome. Cool,it is so thick….I love ur design, they are so cool! 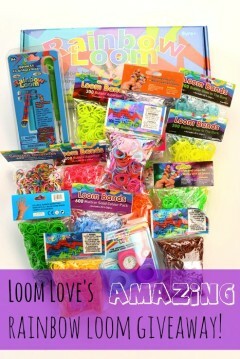 P.S, I Love Loom!!!!!!!!! This bracelet should of been in the top 20 most beautiful bracelets. In my opinion, I think this is the most sophisticated bracelet website ever. 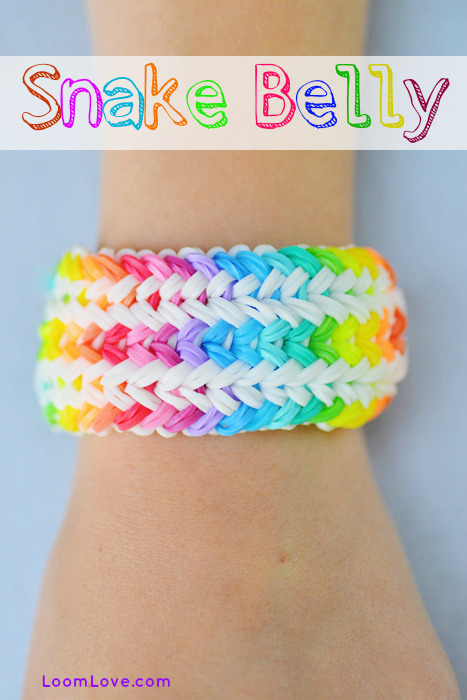 LoomLove hadn’t yet posted the Snake Belly when they posted the top twenty most beautiful bracelets. I’ve made this one a few times. It’s my favorite! The real challenge is that there’s not an actual tutorial lol, he just shows you how it’s done. 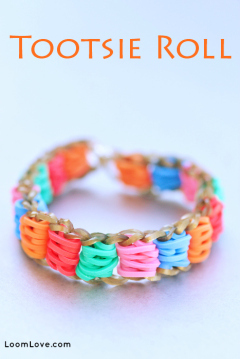 I purchased 8 looms just so I could make this bracelet… No shame! Totally worth it! Aaaaaahhh! Not enough looms OR bands. I like the snake, though! ( ?° ?? ?°) i will never be able to do that and OMG A SNAKE why do they have snakes in justin’s toys!!!! theres suppost to be toys,NOT SNAKES!!! This bracelet is AWESOME!!!!! But why didn’t you just make it yourself? Why did you buy it? And why does justinsTOYS have a SNAKE! Agreed about the snake part. Snakes are awesome…but I have to admit it’s kind of weird to have one in a toy shop. 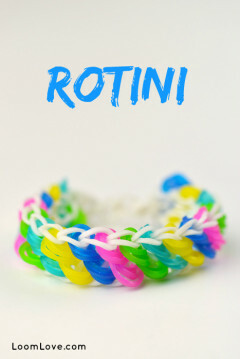 Could you make this on two looms, but take the bracelet off the first loom when you are done hooking, and attach the first loom to the end of the second loom, continue from there, and take the the bracelet off the second loom when done hooking, attach the second loom the the end of the first loom, and so on? I tried transffering the bracelet, it didn’t work. Btw. Hermione, nice name. That’s what happend to me twice, I cried. I. Hate. It. When. That. Happens. That’s what happend to me twice. Wow, that’s awesome! I don’t have enough looms or bands though. Does anyone talk on this anymore HELLO KNOCK KNOCK ???? Do you guys know that there is also a ONE LOOM VERSION aswell. I tried it out and it was complicated, and I didnt like the look of it so redone, but a band broke and I had to finish it, with an extension. And it looked terrible!!! 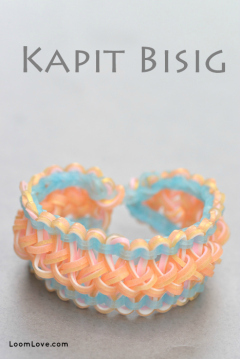 I want to make this bracelet but I’m not advanced yet. This looks awesome. 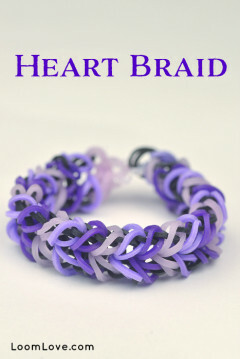 This bracelet looks awesome and I really want to make it but I’m not read yet. How many bands does it take to make this bracelet? How many looms will it take? This looks so cool though. Looks so awesome love the colors. How many looms do you need?! Yikes! 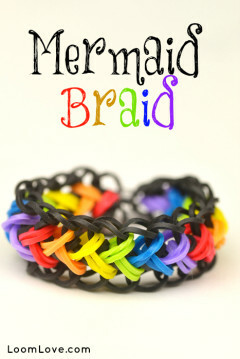 I have ONE LOOM and this design seems impossible. I’ll probably get more later. wow i dont reallyy know how to make that i tried i messed up btw its awesome! I think this was literally IMPOSSIBLE! So, I asked my BFF about it and she helped me make one! BFF’S are THE BEEEEEST! This is really awesome…..I made a smaller (not as wide) version on the wonder loom 3 column loom with three looms joined end too end…. Turned out great….I have made several. Thanks for sharing! Amazing!! What colors did you use? Where did you get them?